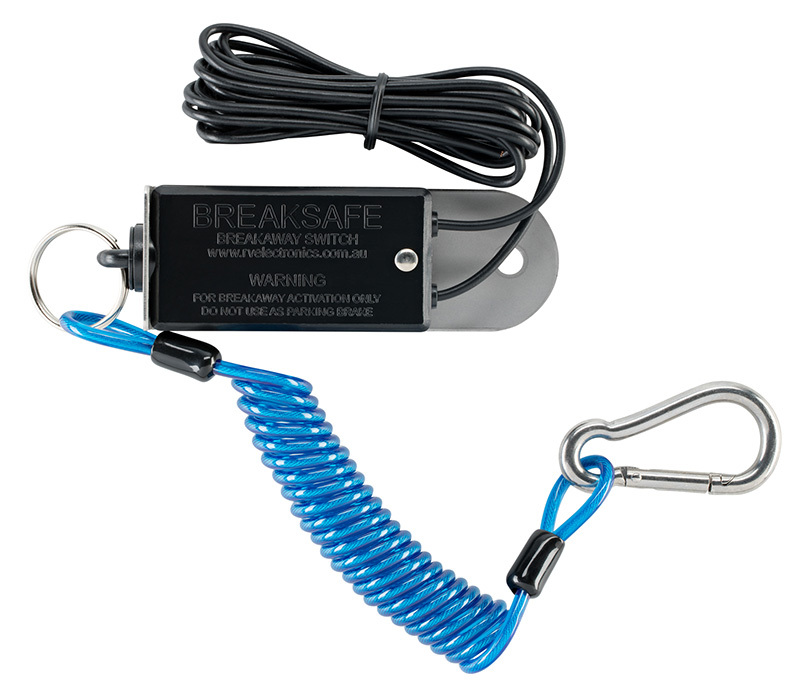 Breakaway Coil Cable and stainless steel quick release clip for easy connection to the tow vehicle. This also makes the connection to the tow vehicle much tidier. No more wrapping the wire up to stop it dragging on the ground. The new Coil Cable stretches to 1.2 metres for connection to the tow vehicle and then compresses back to only 100mm long when disconnected. 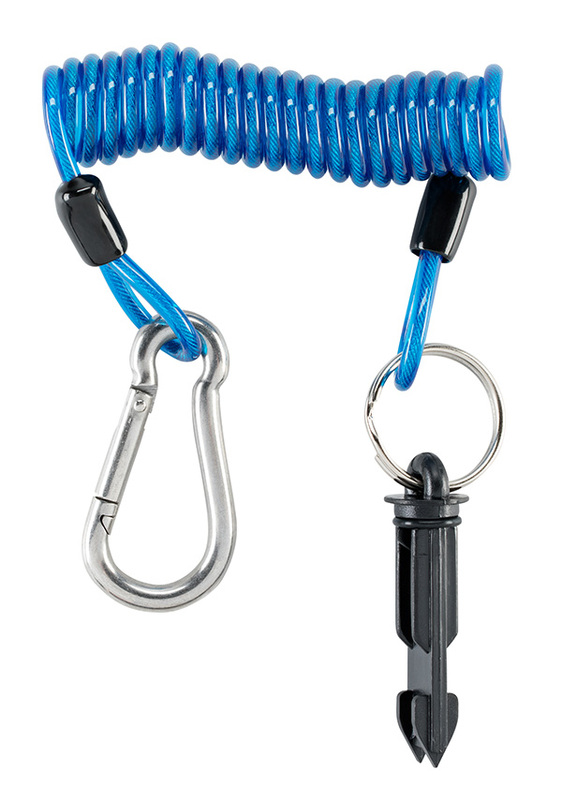 The new coil cable comes with the cable, stainless steel quick release clip and pin to suit Breaksafe breakaway switch.